Have you made an innovative change on your pastoral property that has made your job easier? If so, Australian Wool Innovation’s network for pastoral wool producers –Bestprac, wants to know about it and the difference it has made to your business. Following the success of the 2009 Australian Pastoral Property Innovation Manual, AWI and Bestprac are promoting innovation uptake across the pastoral regions of Australia. The National Bestprac Coordinator, Rural Directions Pty Ltd, is currently seeking expressions of interest from you to share pastoral wool and sheep production improvements you have made. The aim of the project is to document and communicate relevant industry innovations to pastoral wool and sheep producers. Topics may include animal health and production, technology, business and human resources management, or climate adaptation. “Innovations include solutions to issues that have made life easier, or advancements such as shed design, that pastoralist’s have made on their properties; these are the type of stories we’d like to share,” stated Pene Keynes, National Bestprac Coordinator. “Whether it is the invention of a farm gate or a mobile app that has increased the use of technology, we are interested in hearing about it,” added Pene. 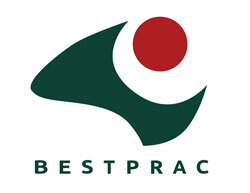 Bestprac is seeking innovations from all pastoral areas across Queensland, New South Wales, South Australia and Western Australia. The AWI network wants to learn about your innovation, the key drivers for improvement, and the difference it has made in your business. The profiles, videos and business cases will be released as they are collected over the coming 10 months, with the project completion in June 2014. AWI is accelerating the uptake of innovation in the Rangelands by sharing ground-breaking advancements within the industry. The profiles, videos and business cases will show you how you can implement these innovations on your own property, while up-skilling the whole industry. 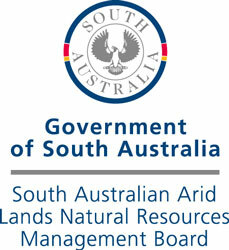 With funding support from Caring for our Country, SA Arid Lands Natural Resources Management Board and Bestprac we are launching a case study series which explores stories of three rangeland businesses located in the SA Arid Lands NRM region. Each case study takes a different angle exploring such topics as erosion management, best practice grading, tourism diversification and attracting and retaining employees in isolated areas. Each case study also includes a short video. Warren and Barbara Fargher own and manage ‘Wirrealpa Station’, a 1500 square kilometre pastoral station located 30 kilometres east of Blinman on the eastern edge of the Flinders Ranges in South Australia. This case study tells how a sequence of events since 2009 has allowed Warren and Barbara to see their station through new eyes. Brendan and Carmel Reynolds own and manage ‘Willow Springs’, a pastoral station located 21 kilometres north-east of Wilpena Pound in the Flinders Ranges region of South Australia. This case study tells how Brendan and Carmel became involved in Ecosystem Management Understanding (EMU)™ and outlines some of the intervention works undertaken to improve land management and production. Tony and Julie Smith own and manage ‘Rawnsley Park Station’, a pastoral station located 35 kilometres north of Hawker, on the southern side of Wilpena Pound in the Flinders Ranges region of South Australia. This case study tells how tourism has now become the primary enterprise for Rawnsley Park and the importance of attracting and retaining employees in a regionally remote location.